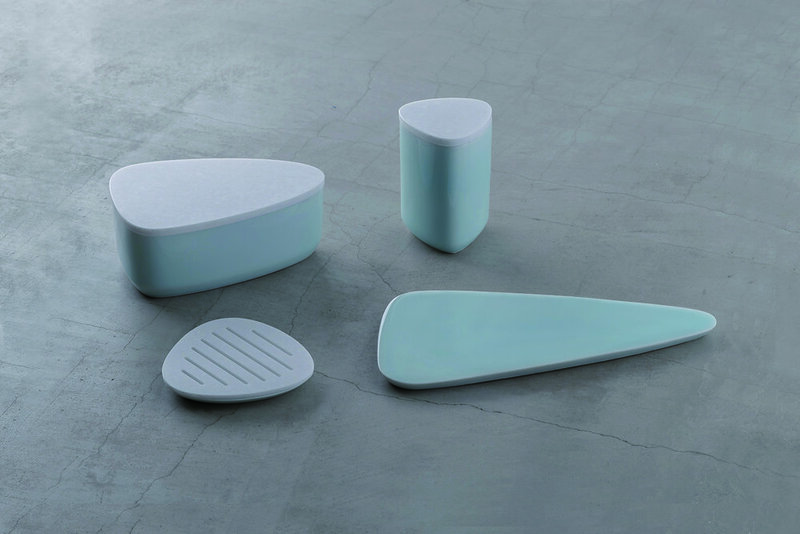 he amenity tray series has been created as a collaborated artwork by Kaizan Pottery. Kaizan Pottery is also known for Mr. Kaiji Tsukamoto, the previous generation of ceramic artist, who had been nominated as Living National Treasure in Japan. 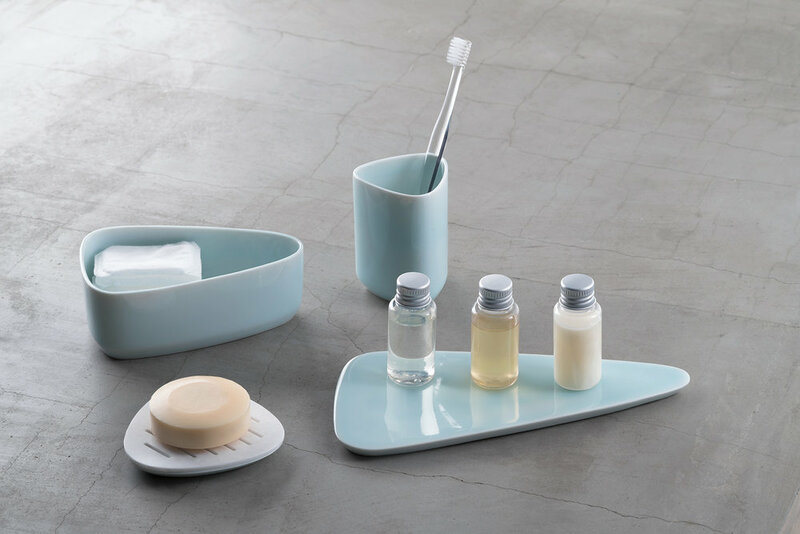 By combining the lid made with Corian and the Kaizan Pottery’s signature blue color of Celadon, this Celadon tray has a clear blue color that enhances its beauty. This curved form of the tray maximizes the clean glossiness of Celadon. You can enjoy the beauty of this tray by using with any combination or even by itself.